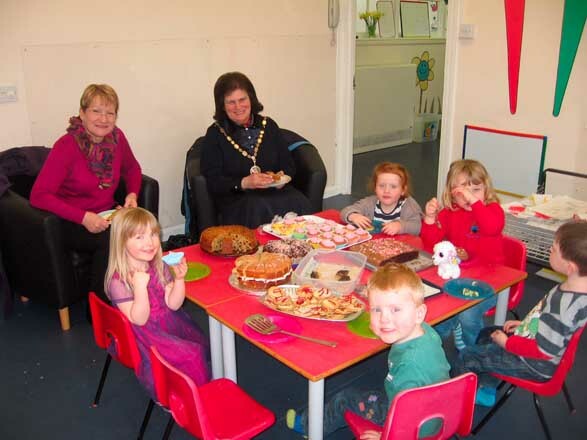 Home » News » Seaford Mayor comes to Tea! 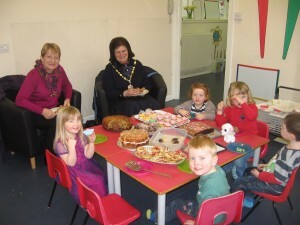 Seaford Mayor comes to Tea! Linda Wallraven, the Mayor of Seaford, visited us today to support our Charity Tea Party to raise money for St James’ Trust Downs Syndrome Group in Seaford. 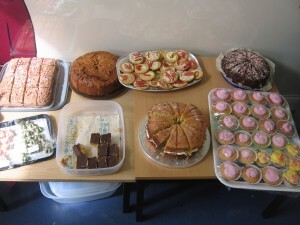 Our parents generously donated cakes and the children decorated biscuits to sell in the nursery. We can assure you that they were delicious! Many thanks to Linda for making our event extra special and we raised £63.00.